No matter how long you have been trying to lose weight, you will probably have come across a myriad of diet programs and supplements claiming to be the revolution in weight loss. Whilst it can be said with confidence that most of these claims are really just not true, the Low GI Diet program is one to deliver what it promises, and it is a very healthy and nutritious diet too. The Glycemic Index (GI) is a way to distinguish how different carbohydrates affect your blood glucose levels. It is a tool to help you choose the right carbohydrates – the ones that break down slowly, releasing glucose only gradually into the bloodstream. Because they can keep you feeling fuller for longer, help you with your weight loss and to maintain a healthy weight, and also provide you with consistent energy during the day. Low GI Foods are based on the GI ranking, which is a scale from 0 – 100 that reflects how fast the carbohydrates in foods get absorbed into the bloodstream. For best weight loss and health results you should always choose low GI foods when eating – and they have a GI of 55 or less. Some foods actually have labels on it that show they are low GI, or even have the GI ranking displayed on them. But if you really want to get into the healthy low GI lifestyle, you should also educate yourself on what foods are low GI so you can always choose with confidence when you go on your next shopping trip! Here generally most fruit and vegetables fall in the low GI category, with these exceptions: canned fruit in syrup, fruit juice, starchy root vegetables (beetroot, parsnip, swedes, pumpkins, squash) – you can still eat these, but moderation is the key. Beans and Pulses, milk, cheese, yogurt, nuts and seeds (yes, you can eat some peanut butter! ), and of course all pure protein foods like all meats and fish. There are lots and lots of great meals you can put together with all the low GI foods that are available, and another great side effect of eating low GI foods will be that within a short time of sticking to low GI meals you will notice that your food cravings will disappear. This has to do with the slow consistent release of glucose into the bloodstream. So there is nothing holding you back from losing those kilos and starting a healthier lifestyle! Hmm. All the while I was shopping for low GI food in London, I never noticed that they had numbers attached based on the Glycemic Index. Low GI Milk and loads of water is helping curb my appetite @ the moment but the bloating brought on my the milk is killing me. It’s as though I’m lactose intolerant with high intake of milk :|. Don’t feel bad, MOST adults are actually lactose intolerant in some form. Milk is to feed babies. That is it’s purpose. But there are many great alternatives including almond milk (unsweetened), which is low on the GI index and very tasty! Health is the only thing through which one can get fit. I think healthy mind lives in a healthy body so that i like to be fit and healthy. Anyways keep it up and keep continue. I do agree with what you said, leading a healthy lifestyle is one way for a person to have the body he longs for. If he kept on eating unhealthy foods, it may only make things worse. Glad that the author mentioned healthy foods. 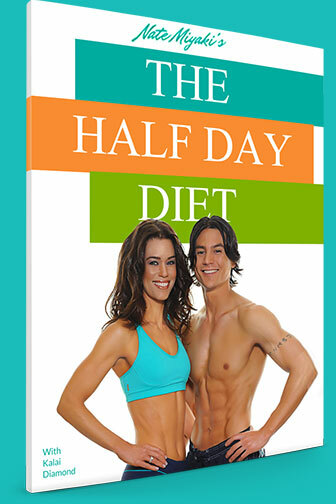 I found that by simply reducing my sugar intake – a simple carb – I was able to make big changes to my eating patterns. Sugar makes me hungry. It also has a range of long-term and serious side-effects if taken in large enough quantities. One of the problems that arise after several years of excessive sugar intake (with refined sugar anything above zero is considered excessive by some advisers) is a lowering of our body’s ability (the cells actually) to absorb glucose from the blood stream. The result is we become tolerant to high blood sugar levels. We get used to having high levels of glucose and an addiction cycle slowly builds. The tolerance is not good as high blood sugar leads to its own diverse range of life-threatening complications. Anyway, I just wanted to say how by reducing sugar and simple carb intake (ie switch to lower GI foods) has been a real eye-opener for me. Good article. The fall of blood glucose have much to do with hunger pangs. Knowing the right foods we can prevent these episodes. I find that I can consciously control my eating and my desire to eat now that I have broken the sugar addiction cycle. Sure, I still like to have something sweet from time to time, but it does not control me as it used to. I learned myself not to drink tee or coffee with sugar and now I am so used to it and it helps me to be fit. Also I eat nuts, vegetables and fruits, but for packed foods I usually read content and try to get the healthiest. thank you for some more healthy food tips. I can personally attest to the low GI diet. It Works! And, I didn’t get hungry like all of the other diets I’ve tried and quit because I DID get so hungry…and/or Bored with what I could eat! .-= [email protected]´s last blog ..Solid Wood Recessed Toilet Paper Holder/Magazine Rack =-. This article is Right On! I followed the advice from another website that follows 95% of what this article says and it really Works! Once you break the sugar addiction and live with a low GI, your entire life will change for the better! .-= [email protected]´s last blog ..10 Tips on How To Choose Window Blinds =-. I just came from a week of ups and downs. I have slowly let sugar creep back into my diet simply by not taking as much care as I should about making food choices. The first and most significant effect was that I noticed a dramatic loss of energy during the week. Secondly was the spike I got with my appetite. It was a wake-up call. Now, after making adjustments to my diet, I have got sugar intake under control again and my energy levels are climbing back up and my appetite is stabilizing back to what I call normal – no unreasonable cravings, just normal hunger a reasonable time after the last meal. Excessive sugar seems to have significantly negative impact on our overall health and vitality. If your really overweight like I was, get on the low GI diet and stick to it. It’s not easy sometimes, but if your serious about your health then you WILL stick to it. No excuses. And youll lose the weight like I did. Guaranteed! .-= [email protected]´s last blog ..Shoe Shelf =-. I agree- I spent a couple days researching this last week, although didn’t find as much information as you’ve displayed here. Thanks for the in-depth post, it certainly clarified a few things for me. Most people think if they eat less they will loose weight and if you invest in a healthy diet plan you will learn that this isn’t always the case. Sometimes it isn’t the quantity of the foods you eat it is the quality or lack there of. I have been using the GI diet for so long now that it has become part of my normal eating habits. It really does work and can be an ongoing diet rather than tried for a month so. You just have to educate yourself about the different food groups and understand where they are on the GI scale. .-= Jane @ Princess Leia Slave Costume´s last blog ..Disclaimer =-. I really cannot see how eating chicken and fish could be a bad thing. Better to avoid sugar and high GI foods I think. Are you able to walk daily? If so, walk for 30 minutes every morning, and eat a healthy diet, avoid sugary foods. I am a diabetic patient with lack of knowledge about how to maintain my normal blood glucose level. This diet will really help me to lessen and maintain my blood glucose level, by the way thanks for sharing this tips. Hi great article thanks for sharing. What benefit does GI foods have for the body and how do they help maintain a healthy body weight? Well, I have enrolled with weight reducing programs but non of them worked. Maybe I need to change my eating habits and intakes aside from adding more exercise. Thanks for sharing the ideas what to eat. New research reveals that consuming carbohydrate-rich foods with low GI will produce lower glucose level. As humans need a sufficient amount of insulin to sustain a normal glucose level in the blood, eating low-GI foods brings about a normal sensitivity to insulin that leads to a normal glucose level. When one has a normal glucose level, body fat is easier to burn and energy can be more stimulated. I’ve found that not only is it good to think of GI, but I read a book a while back that used this concept (that the better the GI the better the food) and came up with the idea of HI – Human Interference (like processing, salting, frying, drying etc). I thought this was pretty clever. Essentially you look to eat foods with as little human interference as possible when you have a choice. It’s just another way to start eating healthier, but when all is said and done actual weight loss isn’t achieved by GI or HI or anything else. Weight loss is only possible when calories in is less than calories out. It’s just maths that makes weight loss possible physically, though psychologically… there is a lot to consider here! I’ve enrolled with excess weight minimizing packages but non of them worked. Perhaps I ought to modify my eating habits and intakes aside from adding additional exercising. Thanks for sharing the recommendations what to eat. i always do some heavy lifting and body building exercises and protein foods are my priority on my diet “‘. What about cereals .I guess cereals are also low GI ,making you full ,curb your cravings and provide required amount of protein to muscles. Very helpful post and it’s a good reminder to eat low GI Foods. Stay away from as much processed foods as possible and eat more fruits and vegetable with your meals. Oh yea, get off the coach and hit the gym. 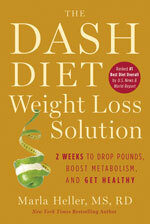 I have tried several different diets and none of them compare to good excersise and eating healthy. All I do is just make sure I eat low fat foods. I have already lost Quite a bit of weight. One serving of pasta means 1/2 cup of cooked pasta. However, most restaurants serve a pasta dish with 4 servings of pasta!!! You do not need to finish and clean off the plate every time. You can simply ask to take home the leftover. hello admin. i opened my email this morning and kept following the links from page to page and somehow ended up here on %BLOGINTITLE%.. i have been reading your posts since then and i like the way you write. are you currently on twitter?? because i would really like to follow you and get informed whenever you post on your blog here. i’m trying to read all of your posts and i’m enjoying them a good deal. thanks a great deal for putting up a nice informative blog. Thank you. Great post, mate. Low GI are very healthy options for weight loss. All the food products you mentioned are very nutritious and healthy options. I always look at the ingredients list on a food before buying. The worst foods usually have a lot of ingredients on the label, and especially unhealthy ones. To name a few: high fructose corn syrup, hydrogenated/partially hydrogenated oils, sucralose/splenda, sugar, aspartame, bleached enriched wheat flour (as opposed to “whole wheat”), monosodium glutamate, etc. « Healthy Weight Loss – Why Do We Keep Eating?? ?